We all loved Carrie Fisher. And while Carrie Fisher may not have loved each and every one of us back, she definitely loved her dog. 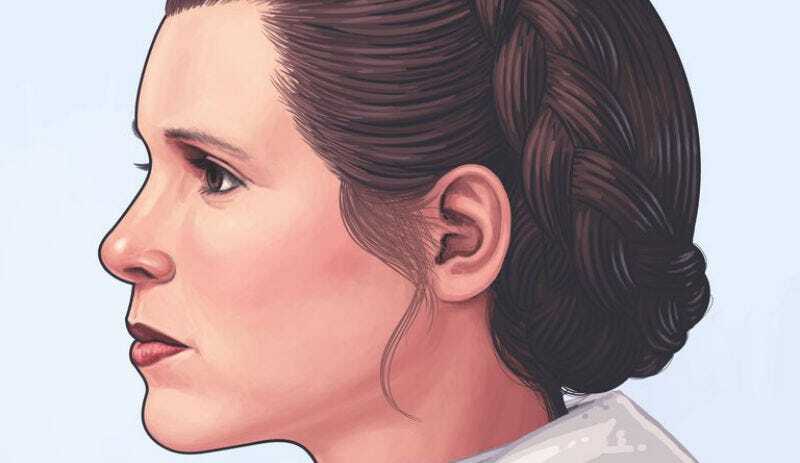 That’s why Mondo is taking 10 percent of sales for its new Princess Leia portrait and donating it to animal welfare causes. The portrait, by artist Mike Mitchell, is beautiful. It’s on sale until January 29 at 11:59 p.m. CST, and Mondo will make as many as it sells until then. It measures 12 x 16 inches and costs $55. Click here for more. They’ve also just released a Wicket portrait, which will also be on sale until the 29th. Here’s the link. Those are the only two available now, but if you like these, I urge you to follow @MondoNews. They, along with Acme Archives, have been releasing these works by Mitchell for a few months now. Here are just a few of the previously sold (now sold out) ones. View the whole series here.